"Punching Crime in the teeth one adventure at a time!" 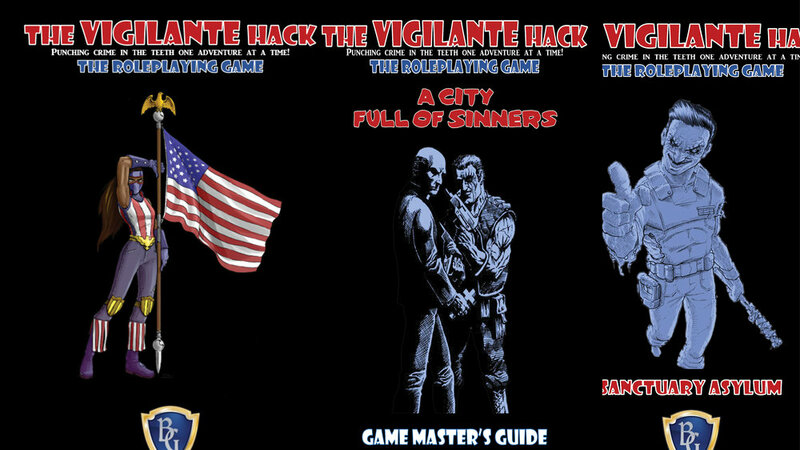 THE VIGILANTE HACK IS NOT A SUPERHERO GAME. True some vigilantes in The Vigilante Hack are considered heroes and some wear costumes, including capes and masks. However, there is nothing “super” about them. They have no X-ray vision. They cannot run faster than cars. They cannot leap buildings in a single bound and they most definitely are not bullet proof. The vigilantes in The Vigilante Hack are normal people, the same as you and I, who have become fed up with the lawless individuals, thugs, organized crime and villains and have decided to do something about it! They have trained hard, sometimes to the point of obsession, and have struck back at those very people who are ruining their city. Think Batman, not Superman. Think The Punisher, not Spider-Man. Think Hit Girl not Wonder Woman. Being a vigilante can be a thankless and even deadly calling. You may get arrested. You may pick a fight that you can’t win. You may find yourself looking down the barrel of a villain’s gun or you may even cross the line of right and wrong and become the exact thing that you started out trying to stop.